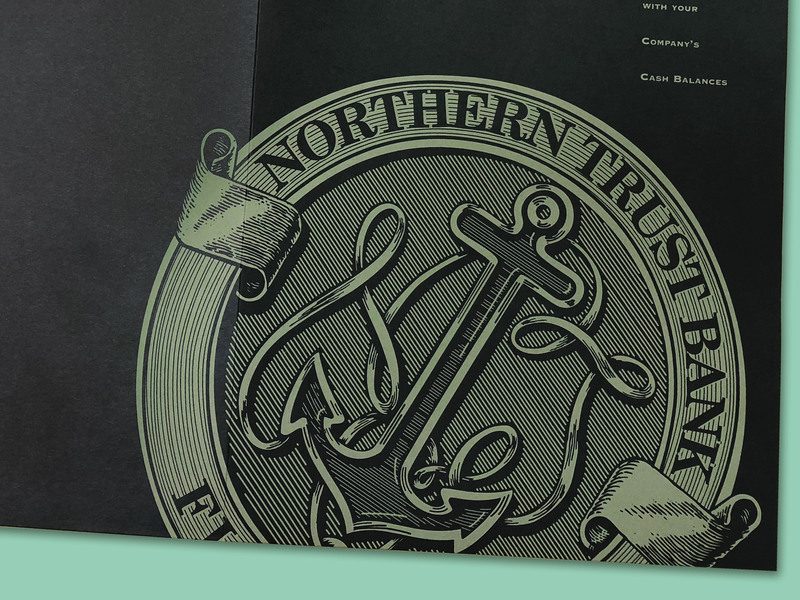 A global leader in the financial industry, Northern Trust is an institution that’s been serving wealthy individuals and organizations for over a century. They provide an array of services to high net worth clients, including wealth management, asset management, and asset servicing. Headquartered in Chicago, Northern Trust has offices across the nation and the world, and has evolved its business from humble beginnings as a new financial services company in 1889 to a multifaceted investment and financial management provider. For Northern Trust, building long-term relationships with their clients is paramount and a key component to their business model. To do this, they offer unique experiences and exclusive events to their premier clientele that help them nurture these relationships and further establish them as an industry leader. 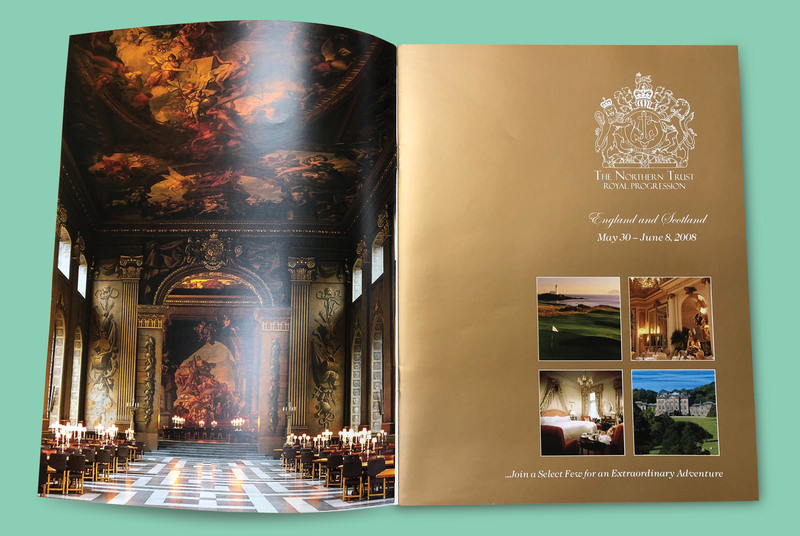 Working closely with Northern Trust’s marketing department, BlackDog Advertising designed an array of campaigns for each of their trips and exclusive events. 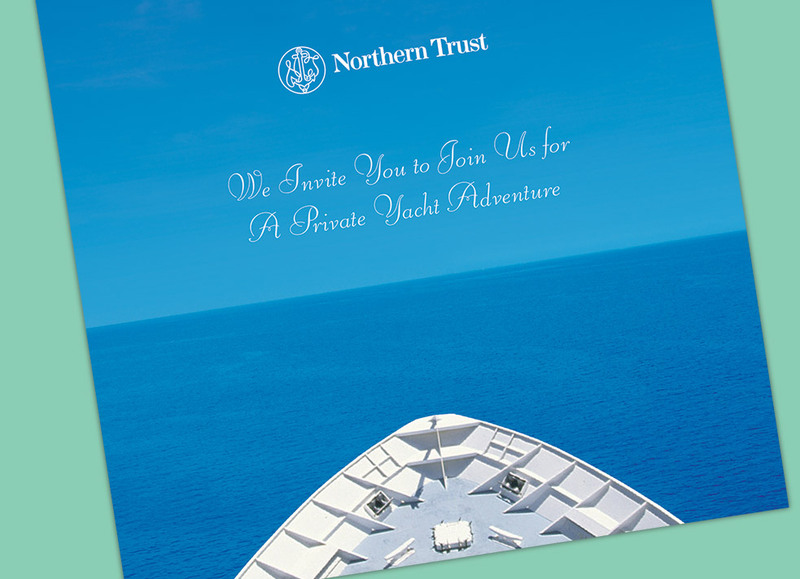 The goal—to entice clients to travel to various faraway destinations, participate in extraordinary adventures and attend special events arranged by Northern Trust. 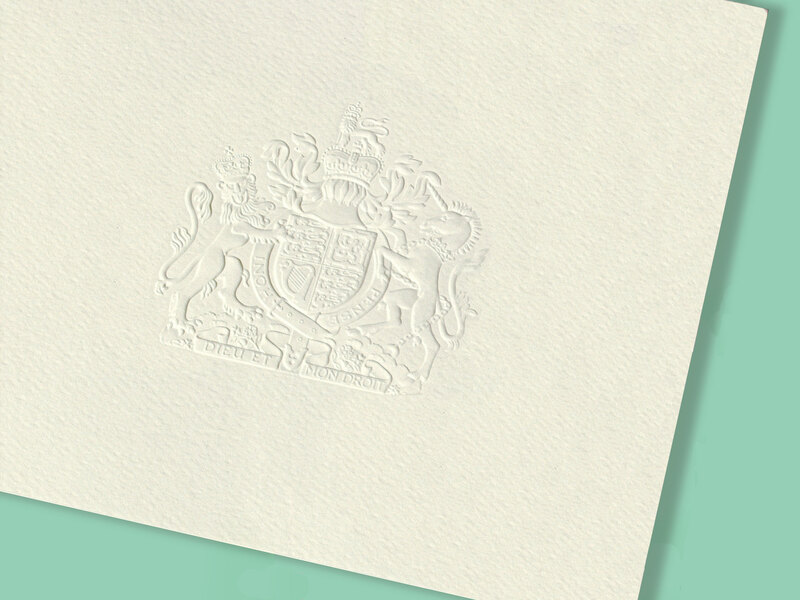 Because the very nature of Northern Trust’s experiences is grand, luxurious, and often exotic, each piece related to the trip or event had to be designed to reflect that in its design while working within a moderate budget and tight timeline. 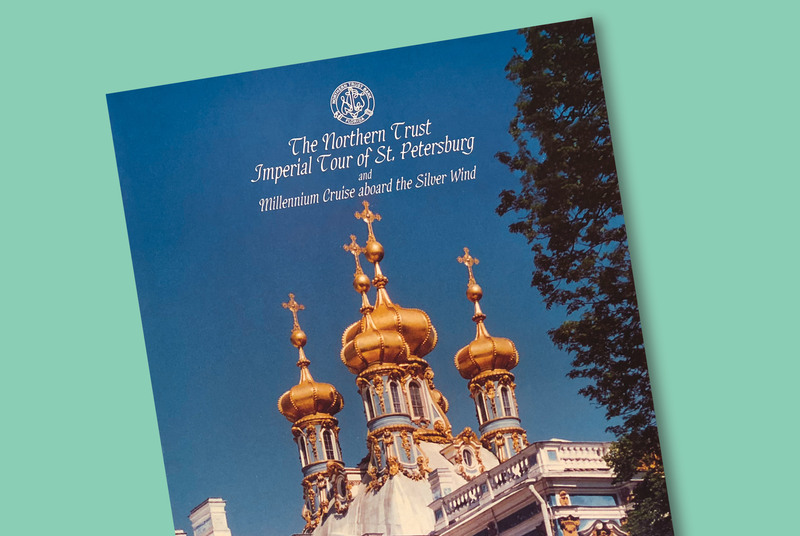 To say that Northern Trust’s client trips and events are remarkable is truly an understatement, as taking a journey on the Orient Express or enjoying an Imperial tour of St. Petersburg, Russia are undeniably once-in-a-lifetime experiences. For BlackDog Advertising, it meant creating pieces that would exude the level of opulence and exclusivity of these trips and move the clients to book their tickets or reserve their space. Our team created everything from invitations and stationery packages to full color brochures, print ads and save the date postcards. For Northern Trust, nurturing their relationships with clients solidifies a bond that the financial institution hopes to keep for the client’s lifetime—and beyond. Each of their adventures, special experiences and events allow them to demonstrate their commitment to these clients and their dedication to serving them on a level that is worthy of their continued business. As a result of our collaborative marketing efforts, all Northern Trust trips and exclusive events sold out that year, and new trips were introduced the following year due to popular demand.